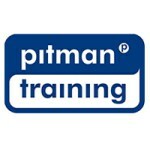 The Pitman Training Office Manager Diploma is your route to gaining the skills and practical experience to become a respected Office Manager. Carear Path This career is great if you're aiming to become an Office Manager. From here you could look towards other managerial positions or take on some Facilities Management tasks for businesses with multiple business sites.